Speed Booster Pro is the best utility and optimization tool which deals with all issues that slows down your android device’s performance! It can “safely optimize and boost” the speed of your phone in an instant by up to 60%. 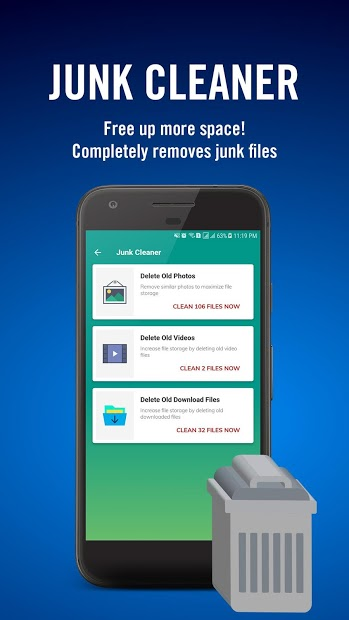 With this app you can free up storage and optimize performance by removing old junk files and clutter such as system cache, residual file, cleaning out the download folder. It also optimizes your background apps, save battery life and secures your private data. Speed Booster & Memory Cleaner Pro - Boost Android Highlights. 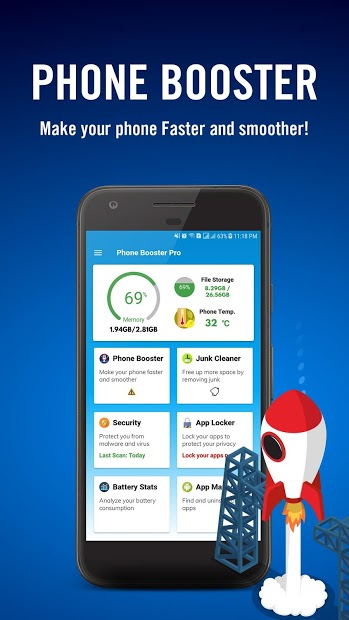 Speed Booster Pro can BOOST YOUR PHONE BY ONE CLICK of your finger and boost your android device by up to 60%! Optimize the use of RAM and release memory to speed up your slow Android devices. Makes you feel you device brand new!